It’s almost Turkey Day! 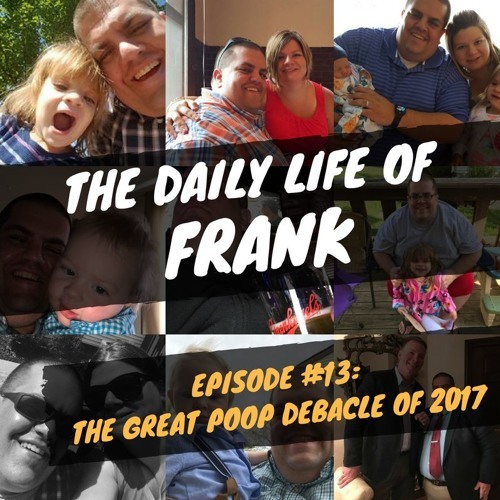 This week on The Daily Life of Frank Podcast, Frank gets a few things off his chest. This week includes: *Christmas is Right around the Corner *F*ck You Matt Lauer *President shouldn’t be talking about Sexual Harassment *Radio Station and Radio Show Announcement *Lillilans NFL Picks *I’m Mad at James Van Osdol *The Great Poop Debacle of 2017 *Amazon Driver Poops All this and more on Episode #13 of The Daily Life of Frank Podcast!